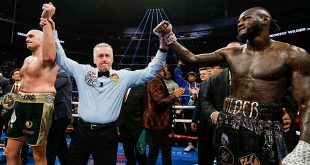 Joshua "The Grandmaster" Clottey went down under to Australia and produced a virtuoistic performance as he thoroughly dominated hometown hero Anthony Mundine over 12 rounds to win the WBA International Jr. Middleweight title. From the very start, Clottey showed he was the better fighter and imposed his will on Mundine. Clottey took the fight to the Aussie and scored the first of what would be five knockdowns in the third round. 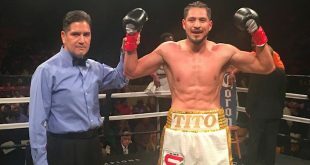 The assault continued with Clottey scoring two more knockdowns in the sixth, and one in each of the the eighth and tenth rounds. The scores were unanimous, 116-108, 115-109, and 117-108, all for Clottey. The fight took place at the Entertainment Center in New South Wales, Australia. Mundine fought on bravely despite his corner wanting to stop the fight on several occasions but had no answer for the skill, power, and will of Clottey. This was the most significant win for Clottey since his World Championship victory over Zab Judah in 2008, for the IBF Welterweight crown. Star Boxing CEO and Founder Joe DeGuardia had this to say about Clottey's performancece - " I am thrilled that Joshua was victorious today. I knew when I signed Joshua to a promotional agreement he would still be a major force in the Jr. Middleweight division. 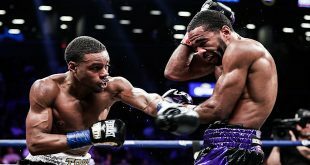 "Joshua has the ability to defeat any Jr. Middleweight in the world and this win sets up potentially major fights for Joshua with the likes of Canelo Alvarez, Erislandy Lara, and my Jr. Middleweight champion, Demetrius Andrade. I am looking forward to Joshua's journey back to the World Championship".